For food lovers, not going to Eataly Rome while in the Eternal City is the equivalent of skipping the Sistine Chapel in Vatican City. With four levels and 160,000 square feet, the Rome location is the 2nd largest gastronomic center on the planet. Only Eataly World, the new theme park in Bologna is bigger. If you can’t find what you’re looking for here, it probably doesn’t exist. The megastore opened in 2012 in the old Air Terminal at Ostiense station. Owned by Italian businessman Oscar Farinetti, Eataly combines “elements of a bustling European open market, a Whole-Foods-style supermarket, a high-end food court and a New Age learning center” (The New York Times). The beautifully restored space is flooded with natural light and filled with delicacies from every region in Italy. Save up to 30% when you compare Rome hotel prices on Trip Advisor. Our Eataly Rome Guide has all of the essentials you’ll need to plan your time. 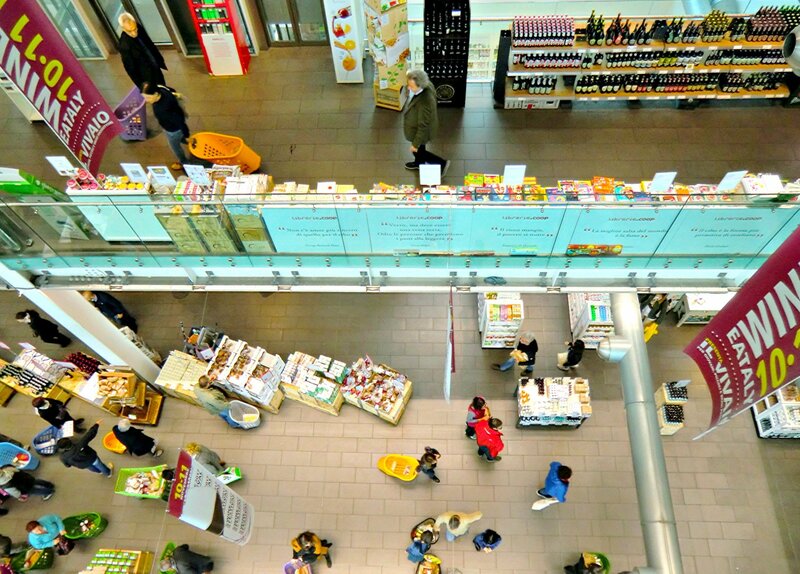 Eataly Rome is open for shopping 7 days a week from 9:00 am until midnight. If you go on the weekend, expect it to be quite crowded with long waits at the check-outs. Located about 6 km southwest of the city center, Eataly Rome is well off the typical tourist trail. It’s a bit of a schlep to get there, but, for lovers of Italian food, it’s a culinary quest worth the effort. If you plan to go or return after dark, I recommend taking a taxi or driving. The area around the metro and bus stations can be nearly deserted in the evening and it’s not uncommon to come across homeless people bedding down for the night in the pedestrian tunnel. Take Metro Line A from Piazza di Spagna to Termini. Take Metro Line B from Termini to Piramide. From Piramide, it’s about a 10 min walk to Eataly Rome. Take the pedestrian tunnel, then the stairs. Destination will be on your left. Find more information on the Rome Metro here. Find more information on the Rome Public Bus Service here. Find more fare estimates here. 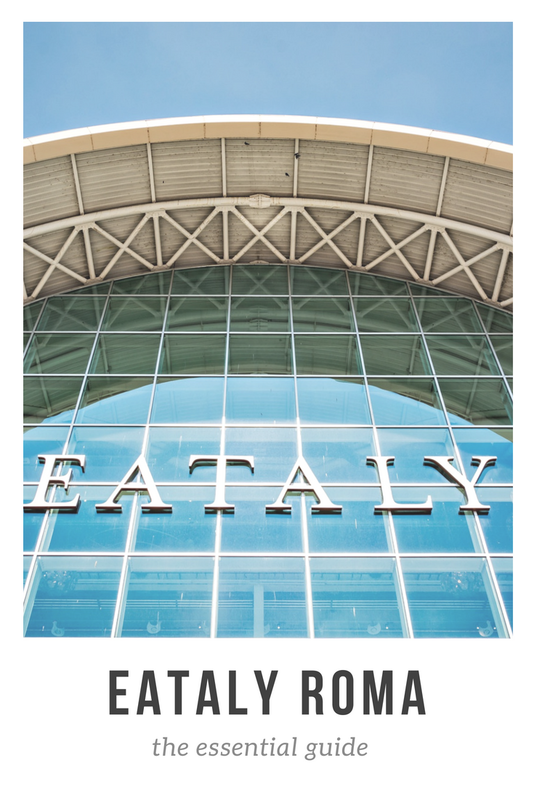 To reach Eataly Rome by car, you’ll need to travel on routes with tolls. Find a detailed driving map here. There’s plenty of parking right in front of the store (over 600 parking spots). Parking is free for the first hour. Find detailed parking rates here. It’s certainly possible to walk from the city center to Eataly Rome but it will take you more than an hour in each direction. Find a detailed walking map here. This is the place to stock up on souvenirs for family and friends back home. And if you’re staying in an Airbnb, it’s also the place to load up on regional specialties so you can eat, and cook, like a local. Shop at marble counters dedicated to artisanal salami and Italian cheese. Buy the finest dried pasta from Gragnano and olive oil from the Ligurian Riviera. Take in the open kitchens where skilled artisans make fresh pasta and mozzarella in-house so they are never more than a few hours old. You’ll also find the best wines from all over Italy at the spacious Enoteca. And you’ll find wine sfuso (on tap) so bring your own bottle (or buy one there) and fill it up. When it comes to dining, Eataly Rome has something to satisfy every craving. With 20+ eateries, it can be hard to choose just one. My suggestion? Have a progressive dinner, like I did! Start on the first floor with suppli at Fritto. Next, head over to Pasta for a plate of cacio e pepe. Then take the escalator down to the ground floor and finish with a cup of nocciola gelato. Hands-on classes at Eataly Rome emphasize local ingredients, seasonality, and the principles of the Slow Food movement. All classes are held on the third floor. The schedule changes with the seasons so check the course calendar before you book. *Cooking classes are in Italian only. Expert-led guided tastings explore a single ingredient in a classroom setting. Themed tasting dinners featuring a star ingredient, like truffles, are also available. During dinner, Fondazione Italiana Sommeliers talk about the wine pairings while the chefs describe the food. Beer and wine tasting classes are also offered and are especially popular with the locals. *Tasting classes and events are in Italian only. There are no food tours offered at this time. Note: Store hours and offerings are subject to change. Check the Eataly website or contact them directly for up-to-the-minute information. 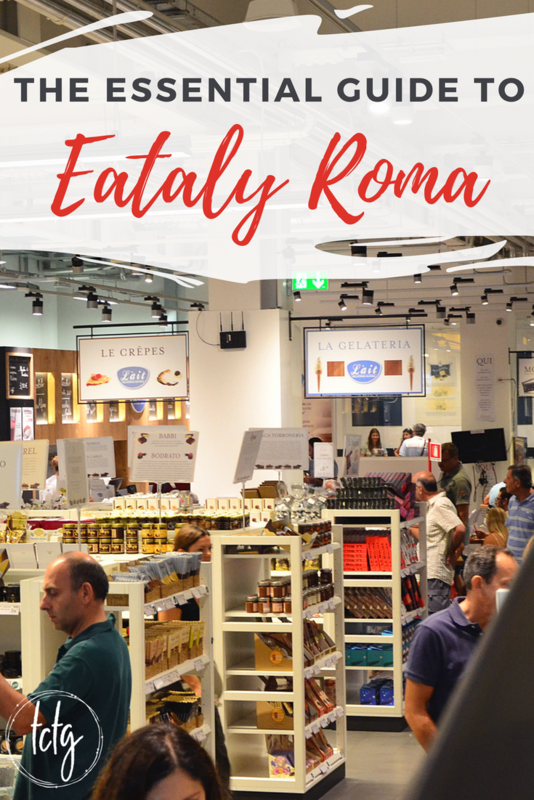 I hope you enjoyed my Eataly Rome Guide!